Q : I need a waterproof cover, which fabric should I select? The only material that is waterproof is the canvacon PolyFabric option. This is a laminated polyfabric that has a tarp look, it is laminated on both sides for UV and waterproofing. Over time this lamination will lift from the inner layer of the material, particuarly if it is frequently folded up as folding can cause after time the lamination to be removed from the material. Note that although the actual product is waterproof the seams are not waterproof with normal water levels water will not penetrate these seams. However if water is pooling on the cover then the water-pressure can push water through the seams, this comes through gradually and will reduce as the water pressure reduces. Waterproof materials such as the Canvacon do not allow trapped moisture to breath through the material. Also waterproof materials such as canvacon are more likely to promote condensation underneath the cover. Though condensation is caused by temperature extremeities when ondensation occurs with a breathable material it will come back out through the material with the rise in temperature. Canvacon is not breathable. Q : I wish to cover a wooden table can I use these covers? Wooden surfaces can have a wide range treatmetns, waxes, polishes and oils applied to them. 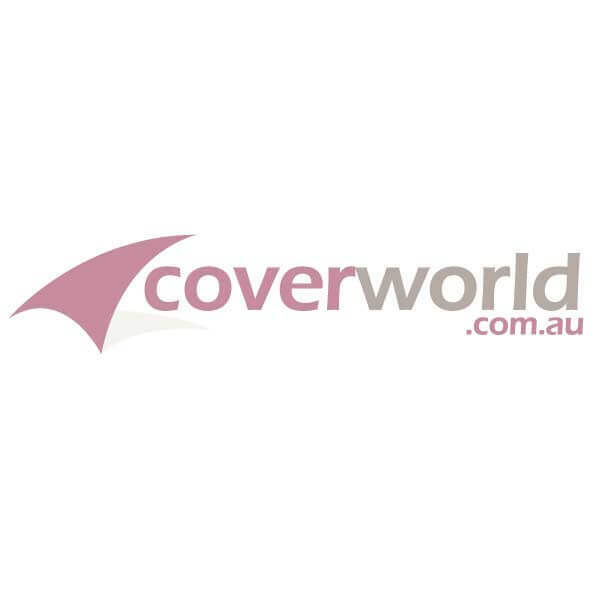 Coverworld cannot give advise as to whether your specic object that you have enquired about a cover for is suitable for covering with our materials. We recommend that you check with your manufacturer before purchasing a cover for any item as we will not be helf liable for any damage caused to any item covered. This is particualry important for wooden surfaces but applies to all items being covered. Q : I want a waterproof cover and the seams on the canvacon are not waterproof can anything be done to them? Unfortunately not by the method of sewing. Some types of materials are suitable for hot welding together which causes a waterproof bonded seam, we are not able to heat bond the seams of our made to order covers. Q : How can I stop water penetrating the seams of any of the covers?
. We do have straps available with side release buckles that may help with this purpose, but otherwise you need to find a suitable object to place under the cover to lift it at such points. be aware of sharp objects that might damage the cover as this will not covered by warranty. Q : Will the covers last longer than the warranty periods? All of the materials ordered as made to order can last longer than the warranty periods if properly maintained and used. You should keep the materials clean, using chemical free gentle cleaners, these are available from Coverworld. After cleaning woven material covers the covers should be treated with High Tech Fabric Guard which can restore original factory condition water repellency. Allowing the covers to become dirty can cause the materials to have a reduced life span. Excessive tight folding of the canvacon can caused the UV and waterproong lamination to lift from the surface so it should be rolled up when not used rather than stored. Covers should always be clean and dry when stored away, storing damp folded covers can cause the fabric to become damaged. Note: Quoted prices do not include the courier delivery which depends on your delivery postcode. All custom covers are made in easiest shape method which is usually made of a top and a skirt around the top or an up and over design with two sides sewn onto it. If you have items such as sharp corners or edges you need to make sure they are covered to prevent the material from pushing through these areas. Covers do not have reinforcements built into them. You should check the items you are wanting covered are suitable for covering. Polishes and Treatments can react when covers are fitted, you should check that any treatments being used are suitable for having covers over them. In very dry conditions static build up can occur underneath covers and this can cause environmental dirt particles to become trapped inside a cover, you may need an anti static treatment. Please put this part number |POLYFABRIC-BEIGE| in the Part Number box below.